Tired of waiting on hot water ? Wasting too much water while you wait for the water to heat up? A common complaint from consumers is that they are wasting too much water, waiting for hot water to come through to the tap. This happens when the hot water system is installed a considerable distance from the tap being used. When a hot tap is turned on, cold water that is in the pipe needs to be drawn out prior to hot water arriving at the fixture from the hot water system. This can be rectified by installing an instant hot water circulating pump to the hot water line from $1500. This maintains water in the system at the desired temperature. These systems can be set up on a timer to only work during high hot water demand times, saving on energy. Don’t put up with wasting water any longer, call Steve now on 8444 7320 for more information and a quote for your house. 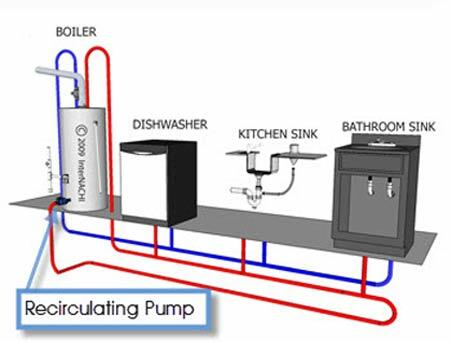 Save time and water with Circulating Pump Hot Water Best Price!